Complete with a range of Benefit’s best loved blush, bronzer and highlighters, the Benefit Box O' Powders collection celebrates everything that is beautiful about their vast range of cult-favourite powder shades. Loved by makeup artists and beauty bloggers all over the world, Benefit’s ever-growing range of colours never fail to disappoint. 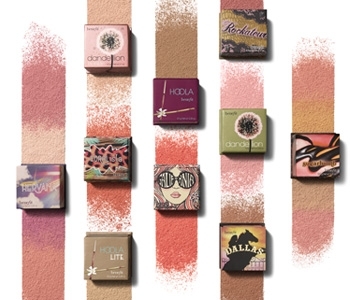 From their popular Hoola bronzer to the sought-after Dandelion blush, there’s a powder ready to transform and enhance every skin tone and complexion within the Box O' Powders range.